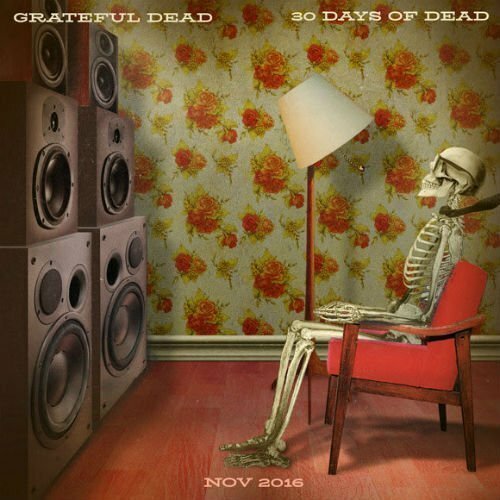 Grateful Dead Open 2016 Edition of “30 Days of Dead" Free Streams and Downloads with Epic "Dark Star" > "Brokedown Palace"
Today is November 1, and for Grateful Dead fans that means the beginning of the annual 30 Days of Dead promotion which gives fans free high-quality streams and MP3 downloads of 30 choice nuggets from the vault. Each track is previously unreleased, and selected by Grateful Dead archivist David Lemieux. Head over to the Grateful Dead's official website to hear each day's selection. The band don't share where or when each recording was taken from, but as an added bonus you can enter a contest to win a pack of Grateful Dead Holiday cards by successfully picking the date and location the song was performed. To kick the 2016 edition off, today they've shared a lengthy and spacey "Dark Star" that flows into a warm "Brokedown Palace" recorded in the early '70s. You can stream that in the audio player below. For the Grateful Dead's latest music and news, check out their Zumic artist page.